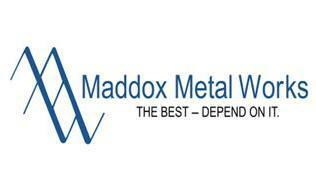 Maddox Metal Works, Inc. is a precision machining, gear cutting and sheet metal fabrications company headquarted in Dallas, Texas. The company has a diverse customer base, both domestic and international, covering food processing, aerospace & defense, oil field & steel mill equipment and other industries. Founded in 1952 as Maddox Machine Shop by Mr. Sam Maddox, the company originally offered tool and die work along with short-run production jobs. Dies were produced by Maddox Machine Shop for framework in windows and for sliding glass doors, which were just becoming popular. At the same time, spare parts and equipment was being built for the Frito Co. in Dallas to help develop specialized machinery for making corn chips and other snack foods. With Maddox's engineering technology, this equipment was built to be highly accurate, and to last for years in hard service. Maddox also helped to develop and build the first code daters used on packaging machines. As Frito grew into Frito-Lay and then was purchased by PepsiCo in 1968, it enabled Maddox to become a major supplier of snack food processing equipment. Maddox Machine Shop evolved into Maddox Metal Works, Inc. and moved into the company's 40,000 square foot facility in the early 1970's. The growth and diversification of Maddox Metal Works, Inc. was due to the establishment of its reputation for high quality and accurate work. This reputation has been built by the people who have vested years of loyal service to the company beginning with the founder Mr. Sam Maddox. Maddox Metal Works, Inc. now has the largest capacity for commercial gearing in North Texas. From fine-pitch gears no larger than a pencil eraser to 72-inch diameter gears weighing over 7,300 pounds, Maddox performs a wide variety of gear and spline operations from the simplest to the highly technical. The company has a large hydraulic broaching department for machining internal splines, keyways, hex holes, etc. Thread milling is also an area of considerable expertise and Maddox offers design consultation to any of its customers. Customer and product diversification and the insistence on providing only high quality goods and services, has allowed the company to maintain a loyal base of customers in all parts of the world. In 1997, the company expanded its operations with the acquisition of a new 60,000 square foot manufacturing center. With major capital expenditures, the Company converted this building into a facility housing the fabrication, sheet metal, and assembly operations. It also provides both shop and office space for better controlled and centralized operations. Today, this facility is fully operational, including on-line computer systems involving purchasing, shipping and receiving, spare parts and inventory, and related shop control activities.